EFNC may collect and/or track: (1) the home server domain names, e-mail addresses, type of computer, and type of Web browser of visitors to the Site; (2) the e-mail addresses of visitors that communicate with EFNC or the Site via e-mail; (3) information knowingly provided by the visitor in online order forms, registration forms and surveys, (including but not limited to name, address, e-mail and other personal profile data); and (4) aggregate and user-specific information regarding page views. EFNC may place Internet “cookies” on visitors’ hard drives. Internet cookies save data about individual visitors, such as the visitor’s name, password, username, screen preferences, the pages of a site viewed by the visitor, and the advertisements viewed or clicked by the visitor. When the visitor revisits the Site, EFNC may recognize the visitor by the Internet cookie and customize the visitor’s experience accordingly. Visitors may decline Internet cookies, if any, by using the appropriate features of their Web client software, if available; however, this may impair certain features of the Site. When a visitor performs a search within the Site, EFNC may record information identifying the visitor or linking the visitor to the search performed. EFNC may also record limited information associated with every search request made by the visitor and use that information to, among other things, solve technical problems with the service and to calculate overall usage statistics. To communicate with you about your membership account, or to communicate information about the Site. To build higher quality, more useful services, such as by analyzing usage trends, and by measuring demographics and interests regarding specific areas of the Site. To support the operation of the Site (such as account maintenance and record keeping), troubleshoot problems, resolve disputes, and to enforce our Terms & Conditions. To inform you about goods and services related to EFNC and developments in appropriate fields. 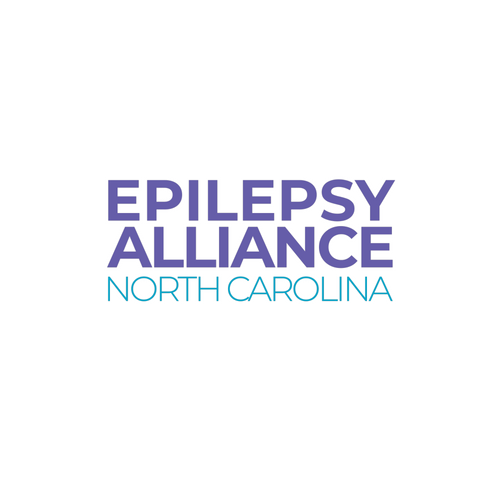 You will have the option of opting out of such electronic communications by sending an e-mail to info@epilespync.org. To EFNC’s agents and advisors (such as our accountants or attorneys). We only disclose the personal information necessary for them to provide their services to you or to us, and only under strict confidentiality restrictions. As EFNC believes necessary to: (1) comply with applicable law (including court and government orders, subpoenas, and federal, state, and local laws, rules, and regulations); (2) enforce or apply EFNC’s Terms & Conditions and other agreements; or (3) protect the rights, property, or safety of EFNC, our users, or others. If you partake (or we reasonably suspect that you are partaking) in any illegal or potentially illegal activity. We may disclose personal information even without a subpoena, warrant, or other court order, to the extent we feel that doing so is necessary to inform and cooperate with applicable law enforcement agencies or other appropriate authorities. Collection of Personal Data from Children: The Site is not intended for use by people under the age of eighteen (18) (“Children”) without the prior consent and ongoing supervision of a parent or guardian. EFNC will not knowingly (a) collect or post information from Children without their parent’s or guardian’s consent, or (b) provide any personally identifying information collected from Children, regardless of its source, to any third party for any purpose whatsoever. Security Measures. For electronic commerce transactions conducted through the Site, EFNC has implemented certain security features to prevent the unauthorized release of or access to personal financial information. In particular, all financial transactions are conducted through a secure server. The secure server encrypts all financial information a visitor inputs before it is sent to EFNC. Communication with Users; Opt-Outs. EFNC may contact users who have entered personal information in connection with the Site. You may “opt out” of receiving marketing and promotional emails by following the opt-out procedure described in each email EFNC sends. However, even if you opt out of receiving marketing and promotional emails, EFNC may continue to email you for administrative or informational purposes, including follow-up messages regarding any content you have submitted to the Site. EFNC does not and will not send you emails asking you to provide or confirm sensitive personal information. A technique known as “phishing” attempts to steal personal identity data and financial account credentials from consumers. “Phishers” use “spoofed” emails to lead consumers to sham websites which trick recipients into divulging personal information including credit card numbers, account usernames, passwords, and social security numbers. If you receive such an email communication purporting to be from EFNC, please forward it immediately to EFNC and then delete it from your computer. Security and Protection of Personal Information. EFNC maintains reasonable standards of security and confidentiality on the Site to protect against unauthorized disclosures, use, alteration, or destruction of the information, including personal information, you provide to the Site. EFNC limits access to the databases containing information, including personal information, to its key personnel. However, no security system is perfect, and we cannot guarantee that information you provide to us over the Internet will remain private. We also cannot guarantee that information you provide to us over the Internet will not be intercepted.